Ever wondered why your BlackBerry seems to get different battery life than your fellow smartphone users’ devices? How long your BlackBerry smartphone lasts on a single charge depends on a variety of factors. Your specific device model, size of the battery pack, whether or not your handheld uses 3G networks, if it employs Wi-Fi and/or Bluetooth, and whether or not you’re using it in a strong coverage area are just a few parts of the equation. So how do you ensure that you’re using your BlackBerry battery as effectively as possible? The true key to maximizing your BlackBerry battery-life is gaining an understanding of what features and functionality drain battery power when, and why. Then you need to reduce unnecessary drain. The Boy Scouts were really onto something with the whole “Be Prepared” thing. This sentiment sums up the whole practice of maximizing your BlackBerry battery life, because if you’re always prepared from what’s coming next, you’re a hell of a lot more likely to have a charged up BlackBerry battery to accompany you to whatever that task may be. First on the list of preparations: A BlackBerry travel charger. I’d rather leave my home without my AmEx card than my spare BlackBerry charger. In fact, I have one spare charger in my car, two more at my home and work desks, another in my laptop bag and one more beside my bedside, so my device is always “fresh” when I wake every morning. Next up: Spare batteries. I currently own four compatible batteries for my BlackBerry 9700–it certainly didn’t hurt that the BlackBerry 9700 employs the same battery as the Bold 9000, my last device. I carry two fully-charged batteries in my laptop bag, one in my vehicle and another spare is sitting in a home-office desk drawer as I write this. And two of those batteries are extended power-packs from smartphone-accessory-maker, Seidio. I also have BlackBerry charge pods on both my desks, which are meant for convenience, but they’ve quickly become one of my favorite BlackBerry add-ons. The charge pods are simple cradles you plug into a wall outlet or USB port on your computer and then just drop in your device whenever it needs power. The point of all this: I keep a spare battery and a charger in all of the places where I’m most likely to need them if my current battery runs out. And you should too. BlackBerry batteries really aren’t expensive, especially if you’re using an older handheld–neither are chargers. And the $20 or so you’ll need to drop to pick one up will seem well worth it when you actually need a replacement battery. I usually go to Amazon.com (AMZN) for my BlackBerry battery needs. It’s also a very good habit to charge your device whenever possible, even if you still have 50 percent or more battery-life left. I’m more likely to charge my device while working using one of the above-mentioned pods, because I’ve become used to seeing the digital clock that displays once my device is placed in the cradle. This helps me to remember to charge frequently. The latest generation of BlackBerry smartphones has impressive multimedia features that let you download, store and listen to and/or view a wide-variety of media types. You can listen to music on your microSD card; stream live NBA basketball games via the popular NBA Game Time app; listen to your favorite artists via a number of different Internet radio offerings; or play handfuls of games you downloaded from RIM’s BlackBerry App World. But each and every one of those activities drains significant BlackBerry battery-life, and you’d be wise to minimize use of most of them if you’re trying to save power. That’s not to say you can’t brush up on your blackjack skills by playing a card-game app on the flight to Vegas. Or take advantage of Slacker Radio’s cool song-caching features so you can listen to Internet radio at the same time, without an Internet connection. But you should be aware that such applications, especially apps that constantly stream data over wireless connections, are very likely eating up battery life like hungry gamblers at a casino buffet. Many of these apps also require that you keep your display turned on while you use them, so the screen backlight is also draining battery every time you hit or stand in blackjack. You should use data- or battery- intensive applications wisely, especially if you’re not carrying spare batteries or don’t plan to have access to a charger in the near future. I touched on this point in my initial BlackBerry battery life tips story, so I won’t spend too much time here. But there are two more advanced suggestions I want to add. You can easily activate or deactivate your BlackBerry wireless connections by clicking your “Manage Connections” icon and then choosing which options you desire–Mobile network “on”; Wi-Fi “off”; and Bluetooth “on,” for example. But you can also turn off all data connections while still leaving the voice-capabilities active. To do so, open the “Manage Connections” options, click the “Services Status” item and then click your BlackBerry Menu key, which is located directly to the left of your trackball/trackpad. 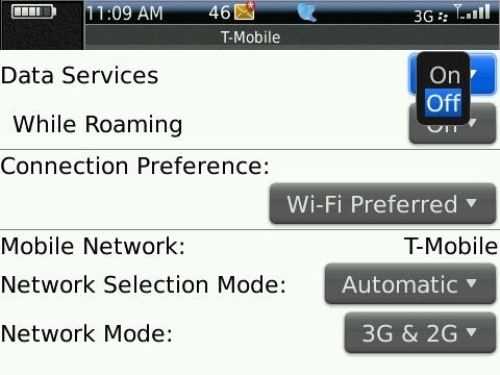 Next, choose Mobile Network Options from the menu, and on the following screen, deactivate Data Services. Note: Turning off your data services will save battery-life, but it will disable most of your device’s core functionality–anything that requires an Internet connection–so beware. When you want to turn your data back on, just reverse the above-described process and turn the Data Services. option back to On. If you’re using a 3G GSM device, like either BlackBerry Bold, you can also turn off your faster 3G connection for a less battery-intensive 2.5G, or EDGE, connection. Just click your Manage Connections icon again, hit Mobile Network Options and scroll down to Network Mode. In the Network Mode menu, choose “2G.” But remember, you won’t be able to access your 3G network until you reactivate that network mode. Again, I addressed this point in my initial BlackBerry battery-life tips-post, but I’m taking it a step further here. 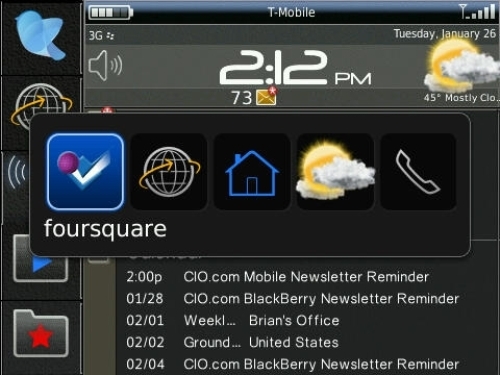 Many BlackBerry applications utilize RIM’s respected “push” technology, which brings messages, notifications and alerts to your device almost instantly after the corresponding service receives them. That’s all fine and good–except for the fact that it takes battery life to initiative the transactions and receive new data. The more apps you have open that use some sort of auto-update process, the more battery life those apps are eating up. So while my initial related tip was merely to close all “power-hogging” apps when they’re not in use, today I’m suggesting you close ALL apps when you’re not employing them. You won’t receive updates or notifications, but you can always just reopen a specific app if you want to check it. 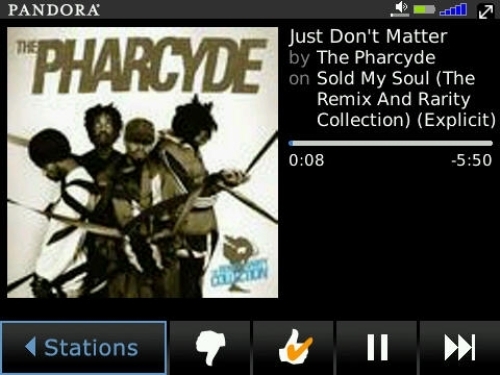 This also goes for IM applications, like BeeJive or IM+, which many BlackBerry users leaving running constantly. If you’re a heavy IM user, this tip may not play out for you. But if you’re like me and rarely use IM via BlackBerry, except to initiate a quick conversation, you’ll be better off leaving your IM apps deactivated until you need them. A quick way to determine which apps are running at a given time is to open up your BlackBerry Application Switcher ribbon by holding down the BlackBerry Menu key–directly to the left of your trackball/trackpad–for a few seconds. The core BlackBerry phone, browser, messages, BlackBerry Messenger and home screen icon cannot be closed, but anything else that shows up in your app switcher can be shutdown via the application menus. You can quickly and easily put many BlackBerry devices into “Standby Mode” to conserve battery life when not in use, among other things. Standby Mode is different than the BlackBerry screen/keypad lock in that it not only freezes your device keyboard, but also deactivates your display, saving power. You activate Standby Mode in different ways depending on your BlackBerry device, but some new devices can be put into standby by simply holding the Mute key on the top right or left of the device. You’ll need to push the Mute key again–or reenter whatever key combo activates standby–to turn it off. So if you find that your device is on but won’t start up when you press keys, ensure it’s not in standby. If you employ your BlackBerry’s digital camera frequently, but want to conserve battery life, you can turn off or adjust your camera’s flash. Using the flash once or twice probably won’t have too much of an impact on your battery life. But repeated use is sure to take a toll. 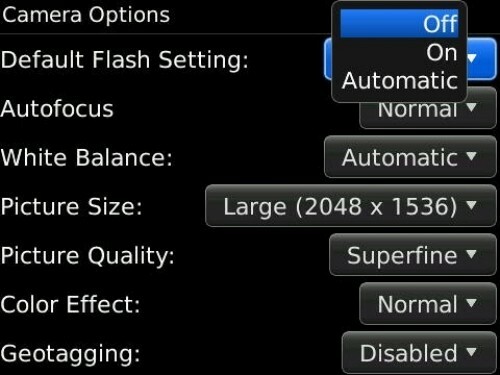 Hit your Escape key to exit out of the Options menu, save your changes, and your flash will be turned off the next time you open the camera. To turn it back on, simply reverse the process. Every time an e-mail message or group of messages is delivered to your BlackBerry inbox, your overall device battery-life diminishes. So, to maximize BlackBerry battery life, you should only connect “relevant” e-mail accounts to your smartphone. For example, if you have your Microsoft (MSFT) Outlook, two Gmail accounts, a Windows Live mailbox and Yahoo! Mail all linked to your BlackBerry device, you’re using a significant amount of your battery life on simply delivering e-mail–assuming you frequently receive mail to these accounts. You probably need your Outlook mail, especially if your BlackBerry is work-issued. But do you really require that both of those Gmail inboxes be connected to your smartphone? Do you even receive mail to that ancient Windows Live account? 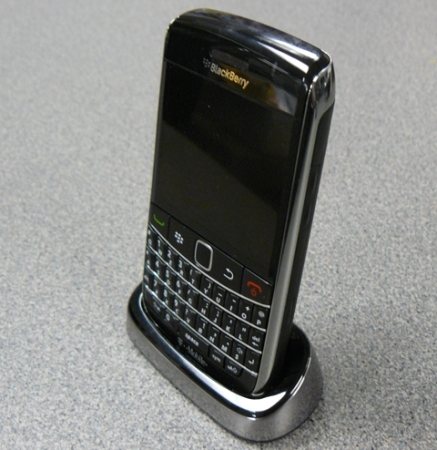 It’s a good practice to connect only the mailboxes you employ most frequently to your BlackBerry device, since reducing the number of mailboxes will not only increase your overall battery-life, but also de-clutter your main BlackBerry Messages folder.